Shoppers rarely look up so it may well be that many have missed it. 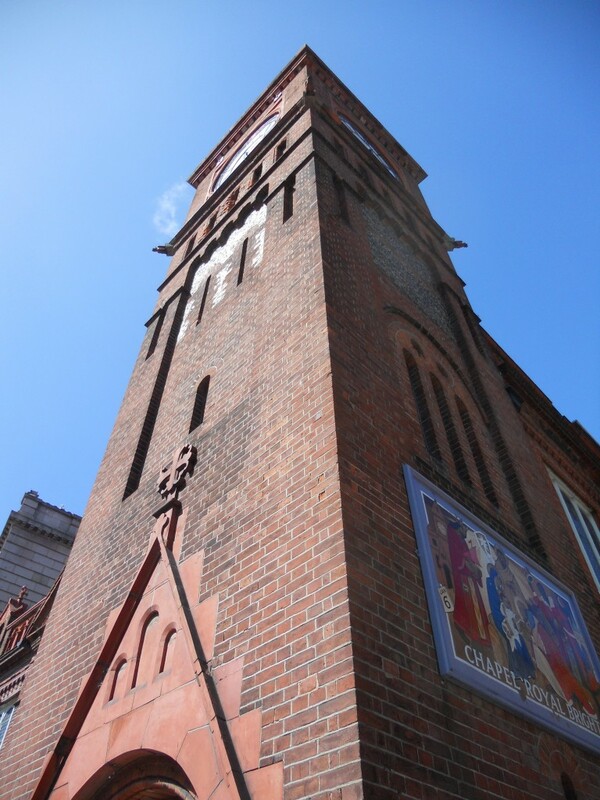 Nevertheless, the Chapel Royal’s distinctive clock tower is a North Street landmark. I recently wrote a column about the vast empty vaults beneath the Chapel Royal which led to a quick tour of the public areas above. The tower and two red-brick facades were added during the 1870s after the side of the original building was exposed following the demolition of the building to the south. It was in fact demolished so that could be widened. When Father David Biggs, priest at the Chapel Royal, suggested that I might wish to see the clock at the top of the tower. I obviously jumped at the chance. The interior of the church includes a number of noteworthy features including a Willis organ; built in 1883 by the famous London firm of Henry Willis & Sons. There is a Willis organ nearby in the Dome but also in St Paul’s, Salisbury and Truro Cathedrals. A solid set of steps leads from the ground floor to a gallery on the first floor which hugs the north, east and west walls of the building. The gallery offers a delightful view of the nave below including its geometric linoleum floor that was added during the 1990s. Although I would have been quite happy just to get climbing, the next stage of the ascent involved putting on a harness and it was at that point that I met up with Gary, the lucky chap who looks after the clock. Two flights of steep wooden ladder-like steps lead up to the clock and along the way they pass the pendulum and driving weights. Various openings, including a number of windows and translucent clock faces, allow plenty of light into the tower. The clock itself is a work of art and is a joy to behold. 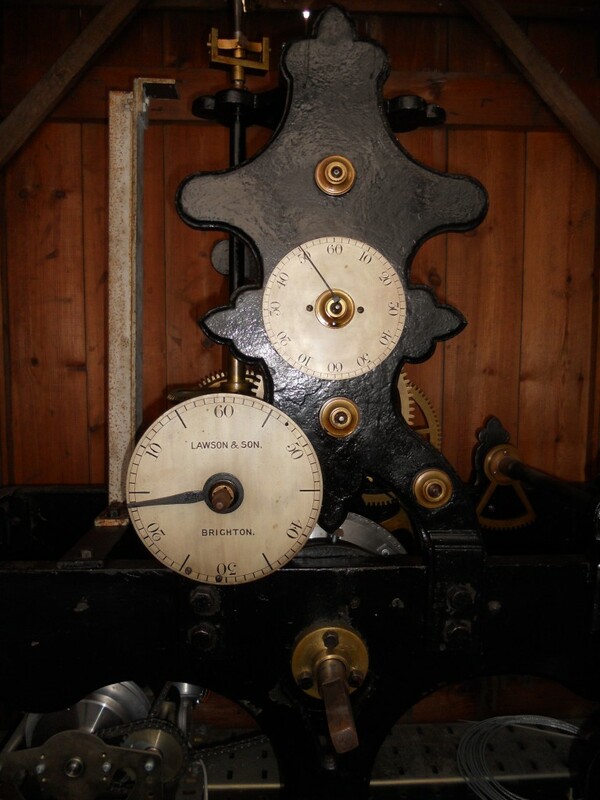 Although the winding process is now electrified, the clock works pretty much as it did when it was first installed. A small change is that it no longer chimes all night. Another – and it is only aesthetic – is that the names of those who have worked on the clock (I presume) have been written on its wooden cabinet. The earliest date that Gary and I could see was 1898. Funnily enough, a chalk note suggests that another Gary – Gary Overton – looked after that clock in 1960 – aged 17.